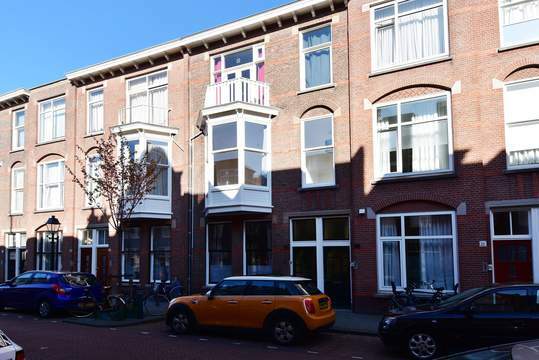 CHARMING, LUXURIOUS, FULLY FURNISHED AND TOTALLY RENOVATED TWO BEDROOM APARTMENT IN A QUIET YET VERY CENTRAL STREET IN THE "BEZUIDENHOUT" AREA. 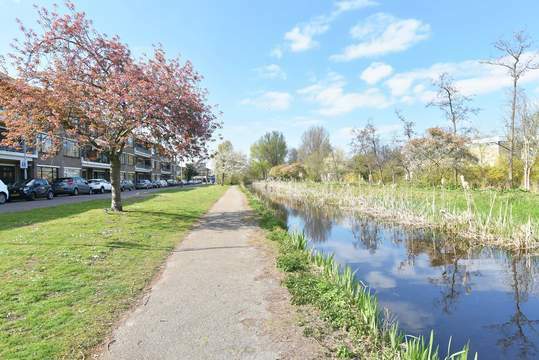 A PERFECT LOCATION JUST AROUND THE CORNER OF THE SHOPS AT THERESIASTRAAT, PUBLIC TRANSPORT, PARC AND SPORTS FACILITIES. A FEW MINUTES TO THE HAGUE CENTER, CENTRAL STATION AND HIGHWAYS. This bright and spacious apartment has been renovated completely with quality and style, but also with attention to the original caharacter. Stairs to first floor, entrance apartment, large corridor. Very bright and spacious livingroom, diningroom at the back. Kitchen with appliances (fridge, freezer, dishwasher, oven, gas hob and extractor hood). The 2nd bedroom is siuated at the front of the apartment. Luxurious bathroom with bath, sink and washing machine plus dryer. Master bedroom at the back with French doors to the balcony. Modern new toilet.